Adelaide Gaol, her people, executions, history, tours and her ghosts... in fact everything you ever wanted to know about the the Gaol can be found right here! We are a group of researchers, historians and tour guides, who are passionate about bringing you her history and have the love of the Gaol at heart. We hope you will come and share that passion and that love with us. This site has been set up solely to share a love, a passion and a wealth of history regarding one of the most important historical buildings in South Australia, with those who care to share it with us. All content here is in the public domain or has been offered for sharing but is copryright to the author. We just spend the time researching it and writing it up for you to enjoy. We are adding content on a frequent basis so don't forget to check back regularly! The contributors of this website have had many years of association with the Gaol as researchers, volunteers, historians paranormal investigators and tour guides on the Adelaide Gaol tours. Hopefully after browsing our pages it will whet your appetite to visit her yourself. 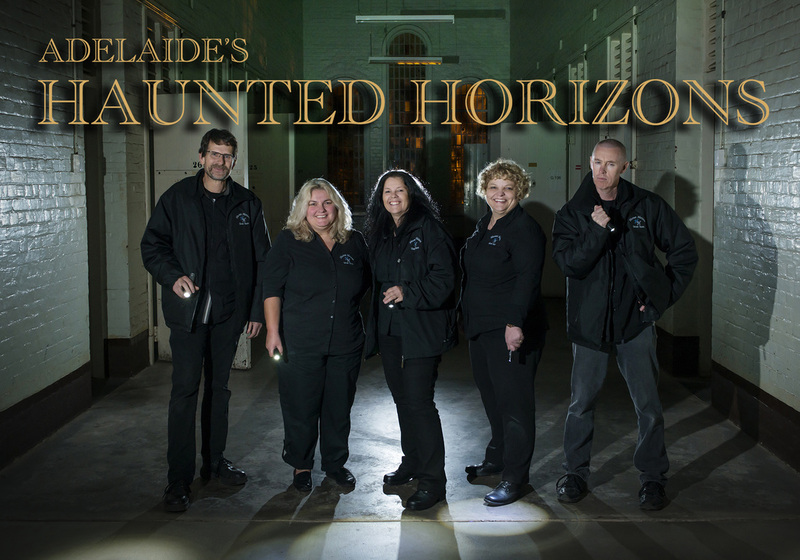 Book on to one of Adelaide's Haunted Horizons ghost tours or history/heritage tours. With years of experience at the Gaol, both as the official paranormal investigators and as history guides, plus being named 'Best Tour Operator in S.A. for 2015/16' and finalists in the Telstra Business Awards, we have no hesitation in recommending these guys as your best tour operator for the Gaol! Even better... they proudly support beyondblue, which means that they donate from each ticket sold, to this great cause.